Loctite® 243 Resists Oil Traces, Locks Reliably. Common Application: Locking of metal nuts,bolts and studs in assemblies like pump,motor,gearbox,presses etc. LOCTITE® 270 is a high-strength threadlocker for maximum efficacy in the securing and sealing of bolts, nuts, and studs to prevent loosening due to vibration. The product serves to permanently lock assemblies which must not come loose. 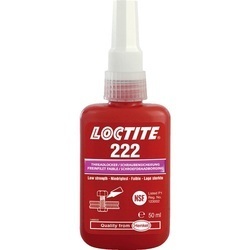 LOCTITE 242 THREADLOCKER 50MLis designed for the locking and sealing of threaded fasteners which require normal disassembly with standard hand tools. 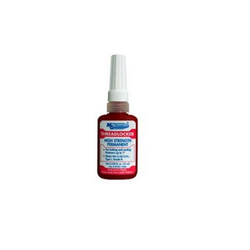 The product cures when confined in the absence of air between close fitting metal surfaces.